The experts make it sound easy: Parents shouldn’t be worrying about their kids’ homework. If children aren’t getting assignments completed, that’s a problem for the teacher and child to solve together — no input from parents needed. But for many families, it doesn’t work that way. Linda Damaso, a parent in Lincoln, R.I., said that when her 7th-grade daughter gets frustrated over a math problem — or has to complete 30 in one night — the whole family suffers. 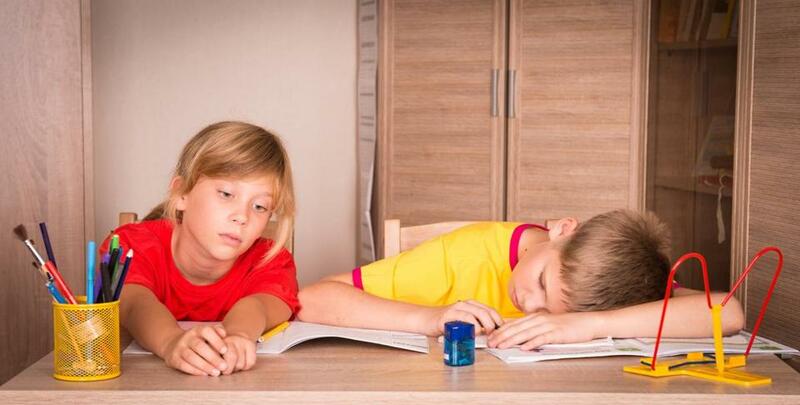 Therapist Stephanie Donaldson-Pressman agrees that some schools assign too much homework. Researchers have long suggested that children should get 10 minutes more homework a night per year: 10 minutes in 1st grade, 30 minutes in 3rd, and 100 minutes in 10th. A new survey of 1,200 parents in The American Journal of Family Therapy found that homework load was higher than recommended in classes from kindergarten, where students were assigned an average of 25 minutes per day, through 2d grade. It topped out below recommended levels in high school, at around 50-55 minutes per night. Stress levels were highest in families where parents didn’t feel like they were able to help their kids and where children strongly disliked homework, according to the study, which Donaldson-Pressman edited. That description often fits Damaso’s house, unfortunately. “The math homework looks like Chinese to me,” she said. But letting kids struggle through on their own may actually be the best way to avoid stress around homework, said Denise Pope, a senior lecturer at the Stanford University Graduate School of Education and co-author of “Overloaded and Underprepared.” Grading and correcting papers at home can cause parent-child tension, and deprive the teacher of knowing what the child does or does not understand, Pope said. A parent’s responsibility is to find a quiet place for studying, provide needed school supplies, and make sure the child is fed. After that, it should be the child’s responsibility to do the work and get it to school on time, Pope said. “The school and parents have to work together,” she added.